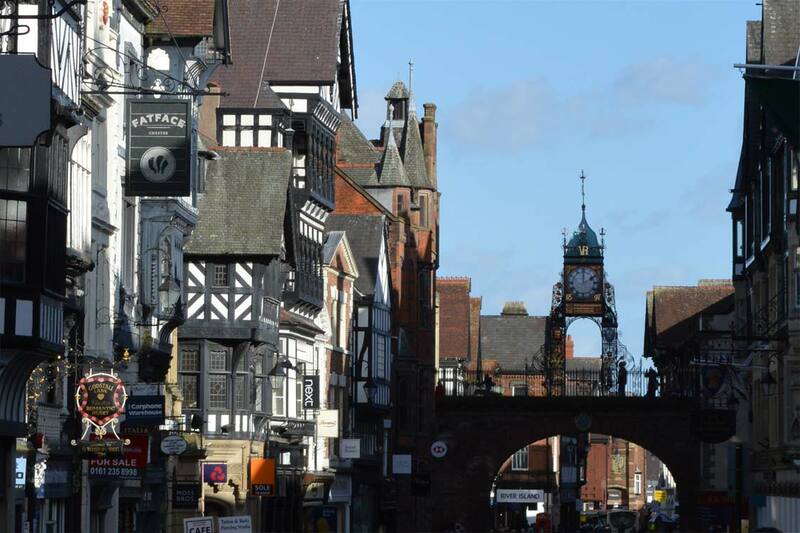 Chester has one of the most complete city walls in England and a walk around the two mile circuit is a pleasant, traffic-free way to explore the city and get your bearings. 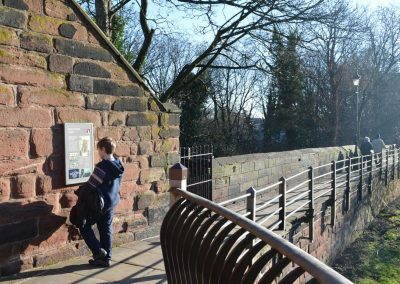 The information boards that are dotted around the walls also give you a potted history of Chester’s story over the last 2,000 years or so. 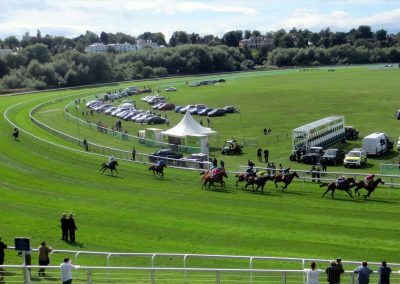 The original turf and timber walls were built by the Romans and the stone walls you see today first appeared around 100AD. 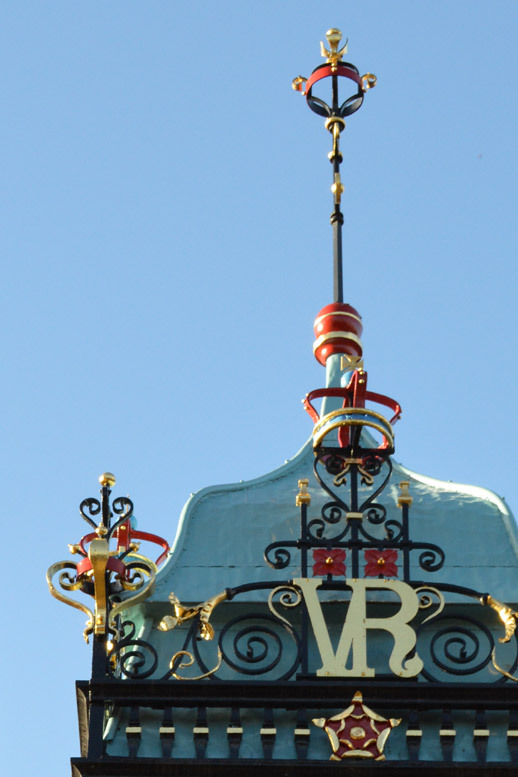 They’ve been added to and modified throughout Medieval times and later by the Victorians. More recently a modern bridge was built to make sure the complete circuit wasn’t broken by a new ring road. 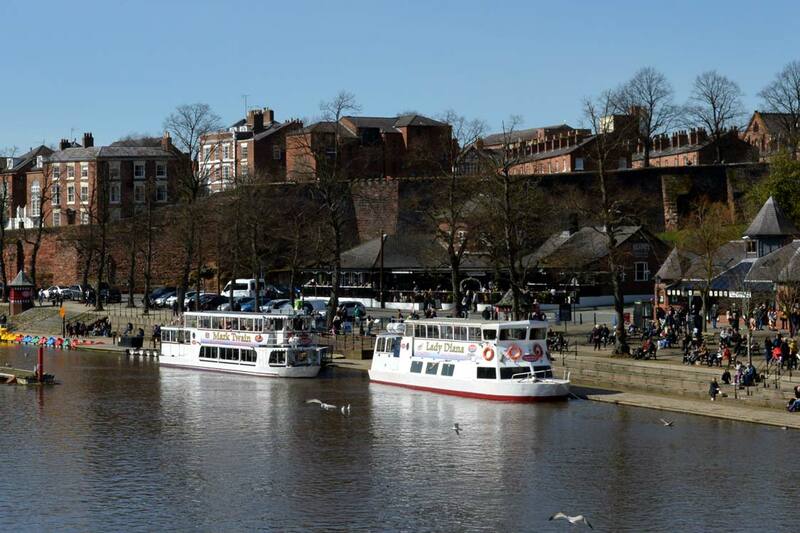 The photomontage below shows the river Dee in February, when there are no leaves on the trees and you can see how the wall winds around the city centre. 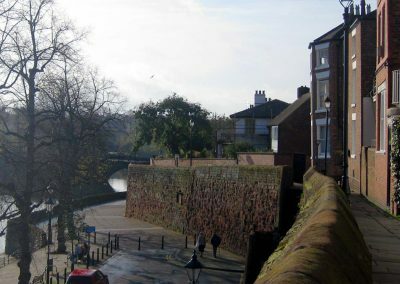 When we walk from our Handbridge holiday cottage into the city we often join the wall by the old Dee bridge (on the far left of this picture). From here we turn right and walk along the wall anti-clockwise passing the Roman gardens and amphitheatre. This brings us to Eastgate Street in the heart of the shopping centre. There are steps and ramps at regular intervals making it easy to take a detour to explore anything that takes your fancy as you pass by. 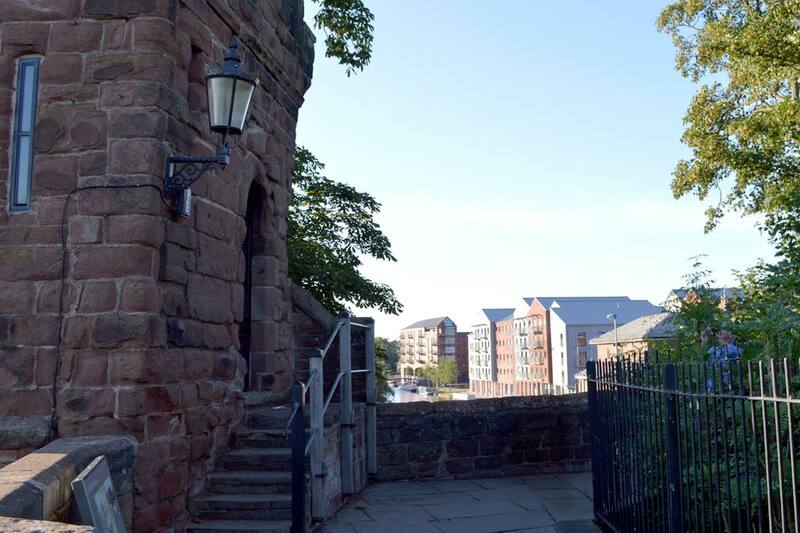 Note that some sections of the walls have steep steps and are not suitable for wheelchairs or prams, although we have been around with a lightweight buggy and carried it up and down the steps without too much difficulty. 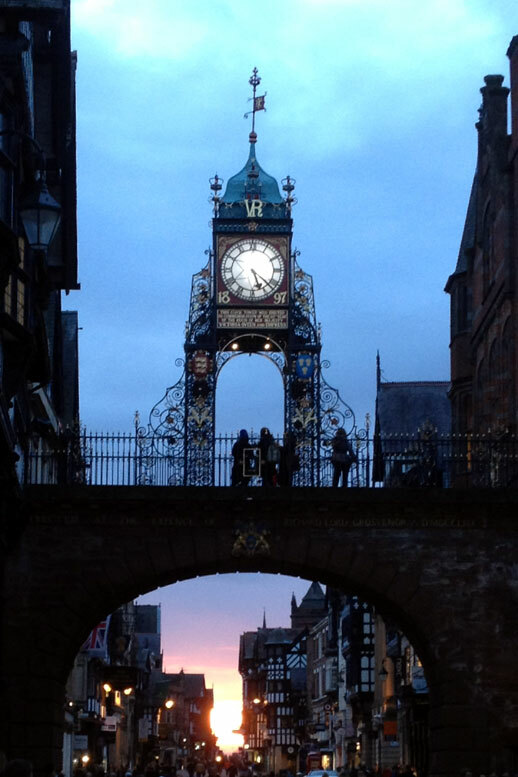 The Eastgate Clock: Eastgate was originally the main entrance to the city and in 1897 an ornate clock was added above the arch to celebrate Queen Victoria’s diamond jubilee. 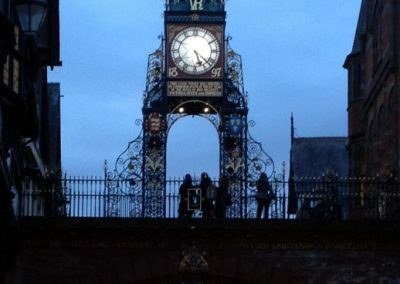 This clock has become a symbol of Chester and is often described as the second most photographed timepiece in the world after London’s Big Ben. 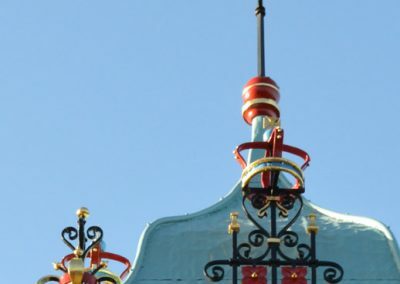 It also marks the place where the wall crosses the main shopping street and there are steps either side to make it easy to stop off and explore the shops. 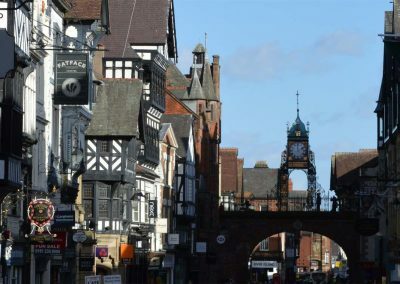 Chester cathedral: follow the wall anti-clockwise from Eastgate and you pass Chester’s beautiful cathedral which is well worth a visit and, if you’ve got a head for heights, you can take the cathedral tower tour and get a birds eye view of the city. 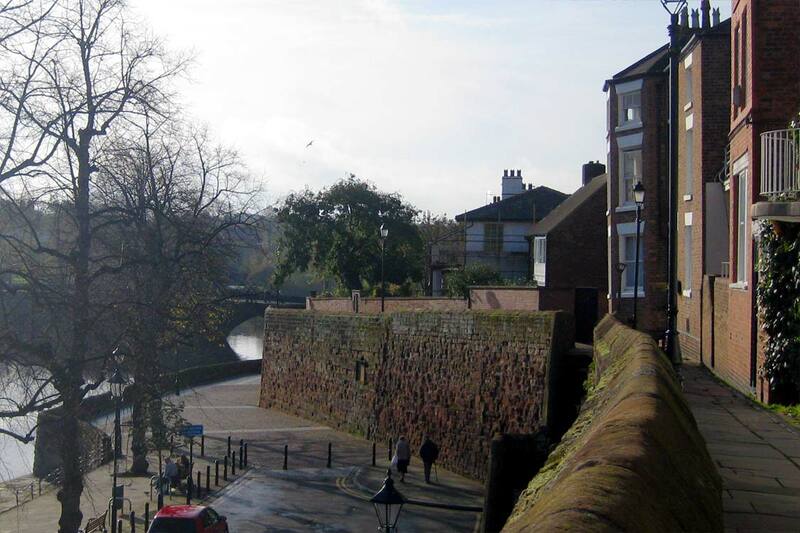 The canal: carry on beyond the cathedral and you can see the Shropshire Union canal passing far below the walls. 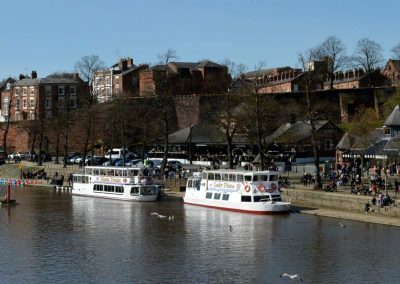 Leave the wall after the modern bridge and cross the road to take a break for a canalside drink at Telford’s Warehouse on Tower Wharf. 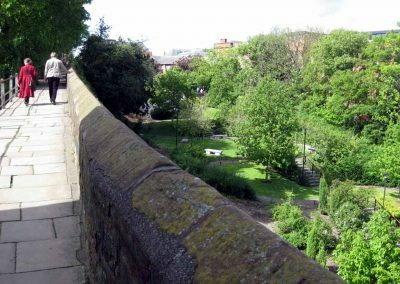 The Water Tower gardens: this park on the North West corner of the walls makes a relaxing place to stop for a picnic in the summer months and if you’ve got children with you they’ll enjoy the playground. 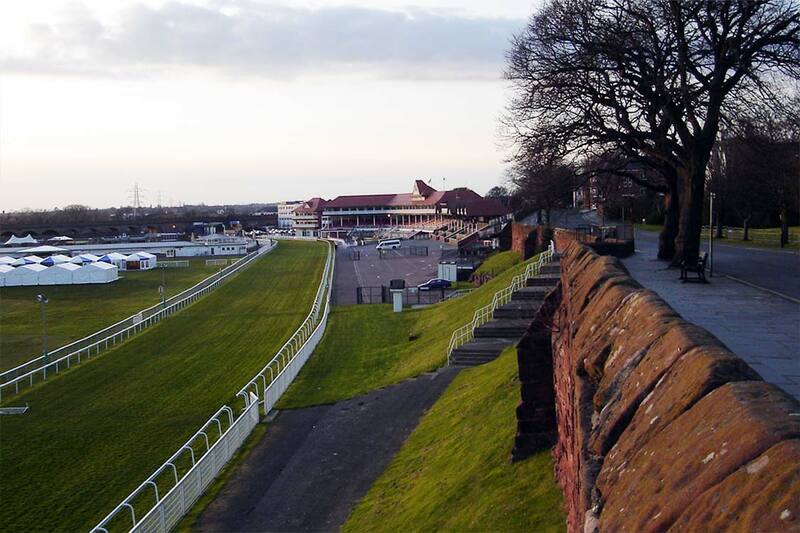 Chester racecourse: reputed to be the oldest and the smallest in the UK, lies just outside the walls. 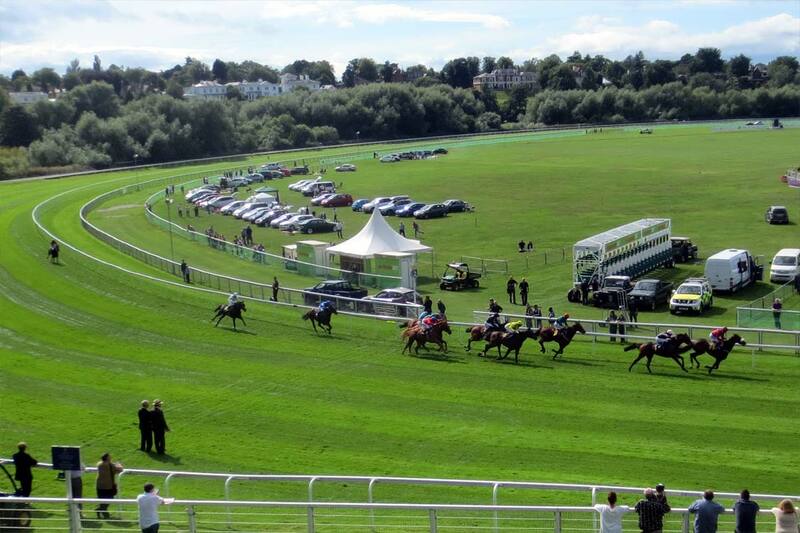 On race days you can watch from the walls as jockeys take on the challenge of its tightly bending one mile track. 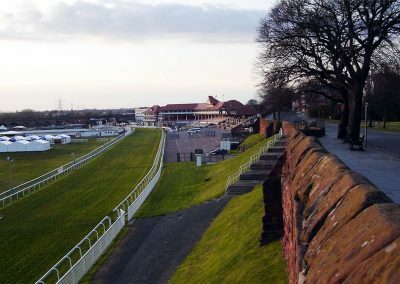 The Mayor of Chester, Henry Gee, started the first races with the offer of a silver bell as a prize and he may well have been the inspiration for our nickname for race horses – the gee gees. 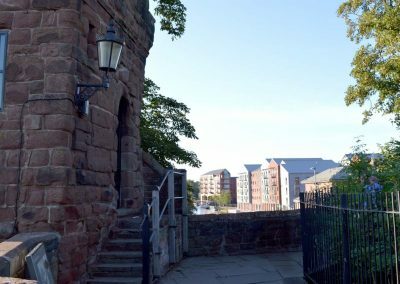 “A definite walk around the city walls is a must.” Suan S from Stockton on Tees, September 2018. 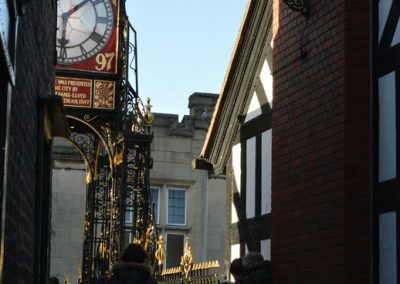 Beth S from Selby recommends the Chester walls after her holiday in July 2018. 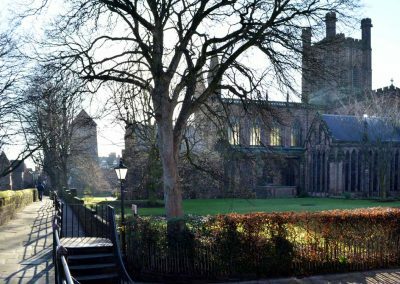 After her stay in April 2017, Jan B from Ashby-de-la-Zouch also recommended a walk around the walls. 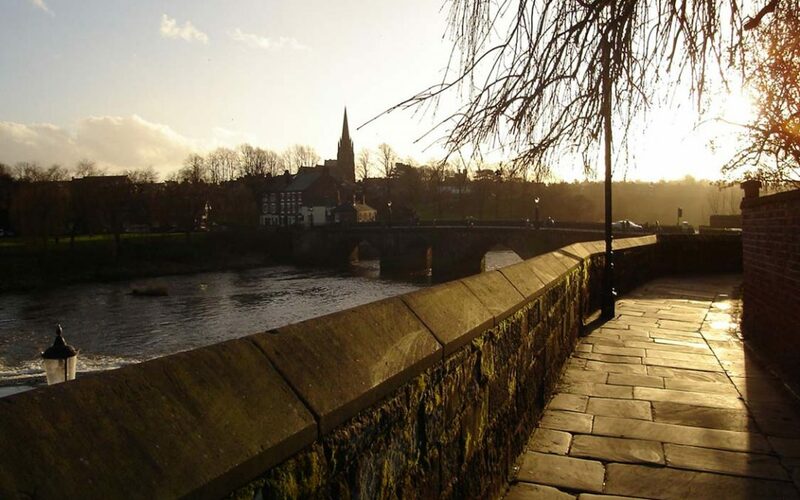 Gemma H from Bromley liked best “walking along the city walls and the river” August 2016. “Start with the wall walk if weather allows” recommended Patrick S from the USA, March 2016. 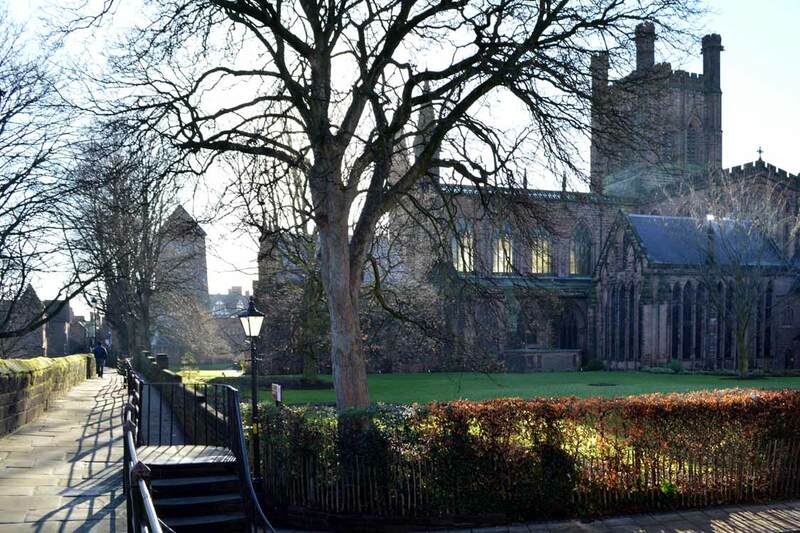 “Start by walking the walls, then work inwards and outwards” recommended Sarah P and Howard D from Oxford, May 2014. 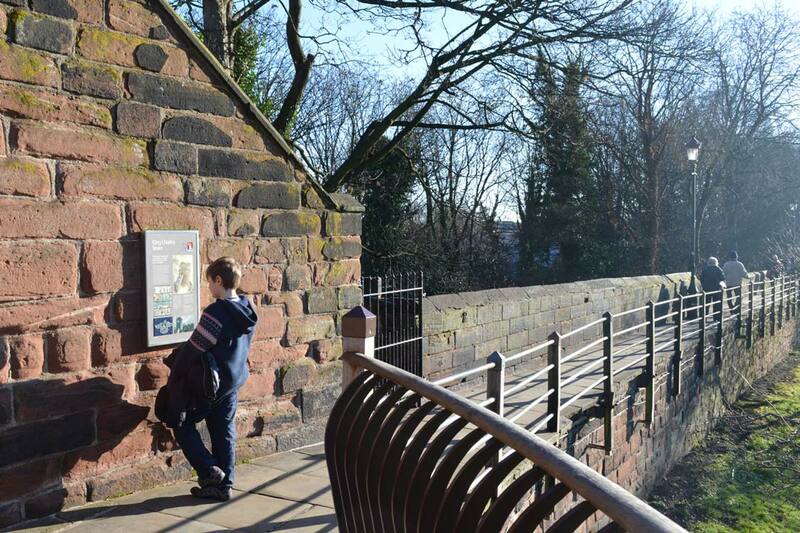 “The walk around the city walls was definitely memorable.” Darren R from Morecombe, October 2013. 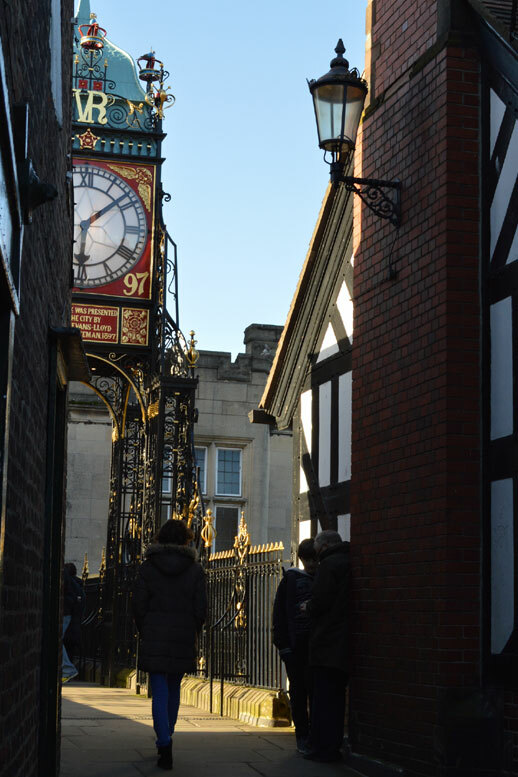 ‘Chester – a virtual stroll around the walls’ is packed with contemporary and historic photos and artwork alongside an in-depth history of the walls and a variety of other aspects of Chester such as it’s pubs, the rows and the canal.